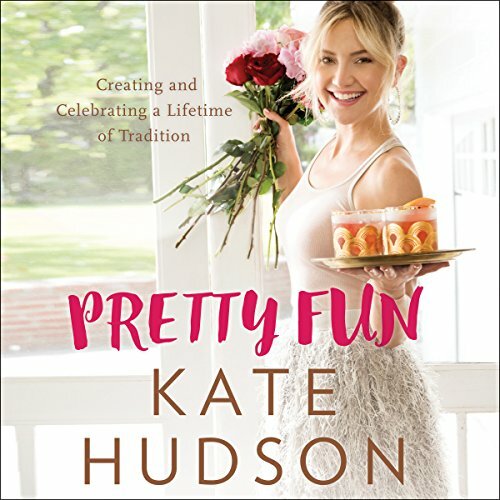 Showing results by author "Kate Hudson"
In Pretty Fun, Kate Hudson shares her philosophy behind gatherings, how to be in the moment and make them uniquely yours, embracing occasions to just be together. A beautiful, fun, and nourishing guide filled with fabulous recipes for healthy and even some more indulgent snacks and beverages, and infused with Kate's mindful and healthy approach to life, Pretty Fun will help you plan a year of special events while remembering the healing power of gathering and celebration. For Kate Hudson the key to living healthfully is simplicity and positivity. The book includes lots of real-world ideas for eating better, making exercise enjoyable and clearing the mind to leave space for positive thinking.